Is Arnold's Next Film a Metaphor for California? Schwarzenegger, Sylvester Stallone and Jim Caviezel are reportedly signed up to do the picture. It's about a prison that doesn't permit escape; its designer, played by Stallone, ends up in the prison and must escape. He attempts to do so with the help of his fellow inmate, played by the former governor of California. Schwarzenegger should have no trouble acting trapped, after seven years as the Golden State's chief executive. The California budget system -- and its larger governing system -- are a complex prison that its designers, the elected officials and people of California, have not been able to escape. 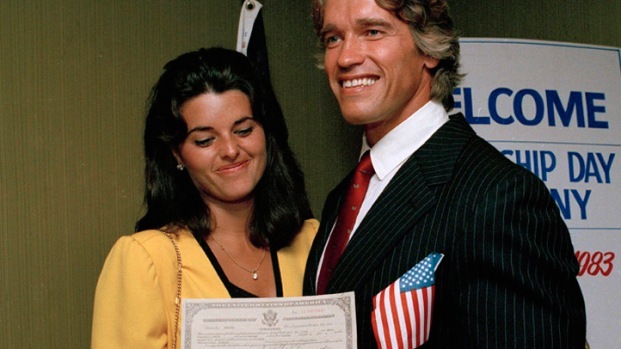 Schwarzenegger spent his seven years in office looking for ways out, trying almost everything possible. But he remained trapped. Perhaps in this movie, he'll find a way out. Would it be too much to ask for Schwarzenegger to slip in a budget joke for governance nerds? Like, "this electronic surveillance system is more complicated than Prop 98."